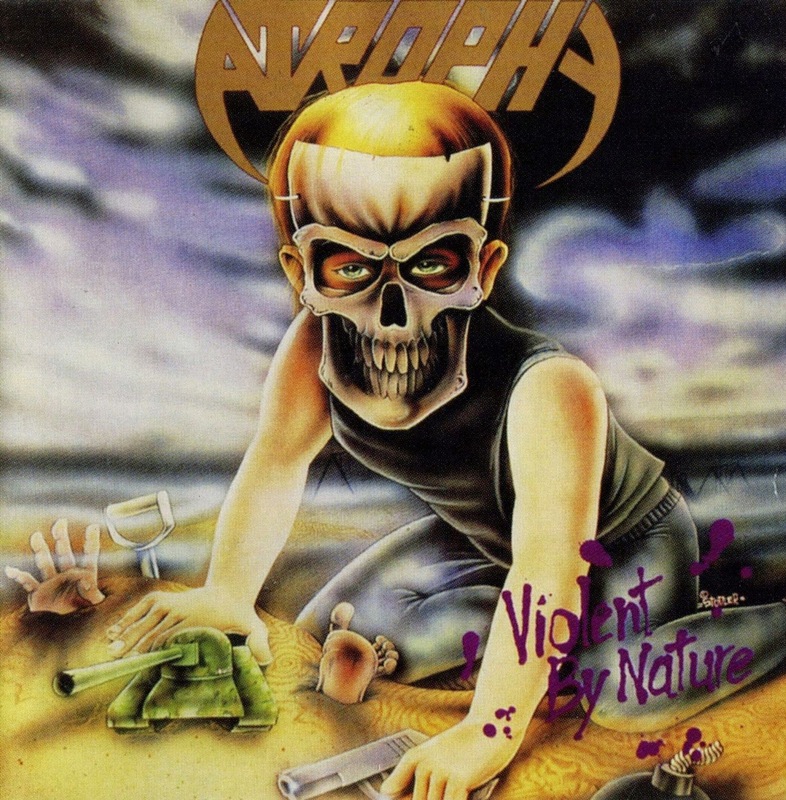 Clinging to what was left of mainstream thrash metal by the nineties, Atrophy released their second full-length, Violent by Nature, to quiet acclaim, thanks to shifting tastes in the music world. Playing in a metal band into the nineties was no easy task; in fact, many chose to throw in the towel, take cover underground, or change style all together, in hopes of riding the next musical trend to stay relevant. Some, like Atrophy, however, were just getting their feet off the ground, but found their shoes firmly stuck in the same spot each time they tried to progress to the next level. Rapidly emerging as the newest aural obsession, grunge made metal appear woefully outdated, and bands that chose to soldier on with no stylistic changes experienced inconsistent success rates. Naturally, Atrophy was one of those unfortunate souls, and while their first record, Socialized Hate, appeared to do relatively well, the follow-up, 1990's Violent by Nature, eventually tanked, despite receiving receptive press. Unsurprisingly, it would be their last before they called it a day. Musically, Violent by Nature adheres to the standard Bay Area thrash formula, but introduces a few twists into the mix, sounding significantly heavier than rivals like Megadeth and Metallica. In turn, a chunk of the material is quite a bit more abrasive, like a knife sharpened to perfection--"Puppies and Friends'" title can be deceiving, but the track is a total scorcher, unlike anything else on the record; which can be attributed to grinding, frenetic riffs, rapid tempos, and an upbeat breakdown placed smack dab in the middle of the song. Be warned that, while still satisfyingly aggressive, little on Violent by Nature matches "Puppies and Friends'" intensity, save for "Process of Elimination," a number filled with a myriad of tempo changes and riffs, and "Slipped Through the Cracks," with its brilliant drum entrance, coupled with a simple, yet effective, guitar introduction. "Things Change" also displays interesting fretboard dexterity--and an extremely fitting title, considering thrash metal's death in the mainstream--but most of the record is a safe cruise through the only slightly more destructive side of Bay-Area-sounding thrash. If anything, it's a good summation of a decade of classic thrash metal and a welcome one at that, resisting meddling musical trends. "Puppies and Friends" + some commentary on the song below. Dude, this song is wicked. I can't believe I haven't heard this before.